The Australian Grand Prix will continue to host the opening round of the Formula One championship despite a late start to the 2016 season. The race, held in Melbourne for the 20th time this year, will move from its usual date at the second weekend in March to a 3 April. The new race weekend puts the race on week after Easter, which falls on 27 March in 2016, and after daylight saving time is rolled back. The grand prix will adopt an earlier start time to account the time zone change, which brings Melbourne close to European time and results in an earlier sunset. CEO of the Australian Grand Prix Corporation (AGPC) Andrew Westacott said the date and time change will not affect the running of the popular season opener. “It’s fantastic that Melbourne will again play host to the opening round of the FIA Formula One World Championship,” he said. 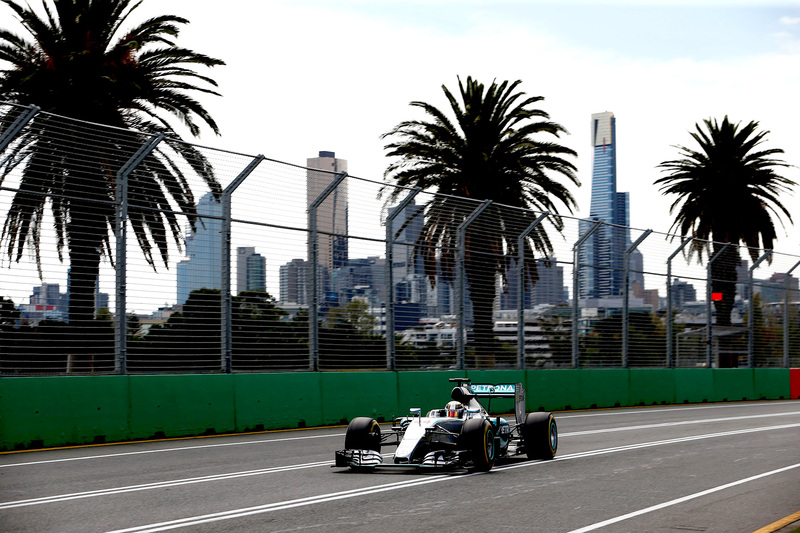 “Over the past 20 years Melbourne has become synonymous with the start of a new Formula One season, and we look forward to again welcoming all the teams and drivers to our great city in 2016. The AGPC also confirmed that the 2016 season will feature a condensed calendar that concludes in November despite more than 20 cities expecting to host races next year. Azerbaijan is contracted to host a street race in its capital, Baku, next season under the European Grand Prix moniker, joining the the new Mexican Grand Prix this year and the slated return of Germany. However, with the German Grand Prix unable to go ahead this year due to the high cost of hosting the race and the Italian Grand Prix in the midst of hardline contract negotiations with Bernie Ecclestone, speculation is rife that a number of traditional circuits could yet fall off the schedule. The FIA and the commercial rights holder will release a provisional 2016 calendar later in the year.